ZTE Blade A910 was launched 2 years ago by ZTE as the world’s thinnest large screen smartphone. The device might be 2 years old but it offers great value for money compared to most smartphone in its price range. The smartphone boasts of 3GB RAM, 32GB storage space and a “powerful” fingerprint scanner, according to the company. The device is still available HERE for a token, you can also click on the links below to order. 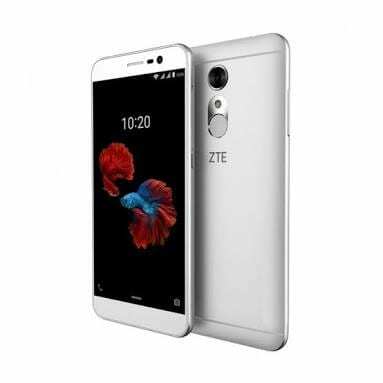 What is ZTE Blade A910 Price and Availability Status? Sports a Metal overall unibody that reflects light beautifully, the dual antenna lines at the rear adds to the beauty as well. Loving the simple aesthetics going on with the rear features. The rear camera comes first from the top, starting a vertical train. In close proximity, the LED flash follows before the rear fingerprint scanner. According to the company, the device is the world’s thinnest large screen smartphone, measuring just 6.9mm in thickness. It weighs just 135g overall and is available in Silver, Gray and Gold colors. Since it was released 2 years ago, i wasn’t expecting it to be bezel-less. But we have to admit the bezels are super minimal. There are no navigation buttons at the bottom bezel, while the top houses the selfie camera, speaker grille and ambient light sensor. The 5.5-inch AMOLED capacitive touchscreen has a resolution of 720 x 1280 pixels. Dishing out stunning visuals with 267 pixel per inch density, for immense clarity. Offering more screen than bezels and stretches up to 68.5% screen to body ratio. The system on chip is the Mediatek MT6735 with Quad-core processor and 64-bit CPU architecture. The 4-cores of processor reaches a clock speed of 1.3GHz with 28nm process technology for a smooth ride. The graphics processing unit is the ARM Mali-T720 MP2 graphics processor which comes with 2-cores and clocks at 450MHz. There are two versions in terms of RAM and internal storage, there’s a standard version with 32GB storage and 3GB RAM. While the cheaper version packs 16GB storage and 2GB RAM. Both storage space is upgradeable up to 128GB using a memory card. 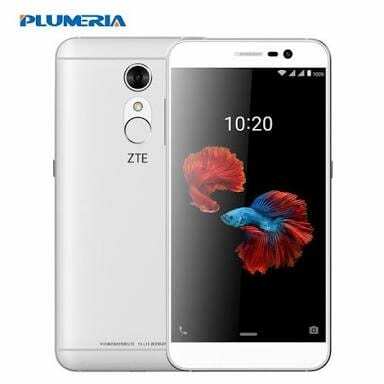 The ZTE Blade A910 runs on Android 6.0 Marshmallow operating system. At the rear, the 13MP rear camera has f/2.2 aperture capturing quality photographs with 4128 x 3096 pixels in dimension. Features on the camera includes gesture shot, phase detection autofocus, touch focus, face detection, HDR, panorama and others. HD Videos of 1080 pixels can be recorded at 30 frames per second, while the 8MP selfie shooter is perfect for selfies. Powering the ZTE Blade A910 is a 2540mAh Non-removable Li-Ion battery with no fast charging technology. Even without the fast charging feature, it shouldn’t take more than 2.5 hours to fully charge up the battery from 0% to 100%. 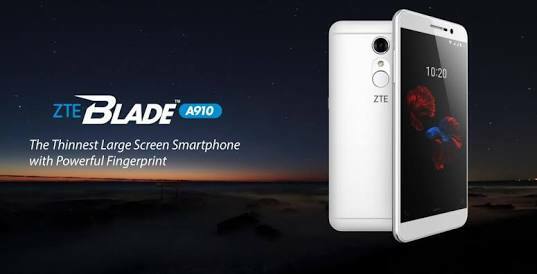 The ZTE Blade A910 is available on Shopping stores starting from $99 (N30,000) to $199 (N60,000). Click on the links above to view the latest ZTE Blade A910 price & availability on Shopping stores.